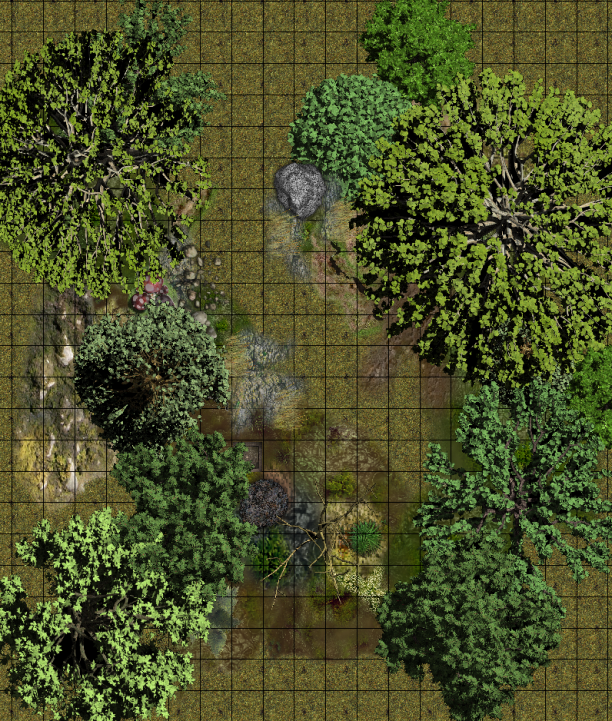 In redesigning my original maps, I discovered I had forgot a section of the wilderness. This is for a region of the Elise Hundred, that focuses on a long forgotten tomb of a crazed alchemist/trickster. This was done in about 10 minutes with MapTools.